We offer several methods of entertaining with balloons. Whether your event is small or large, we have a system to provide your customers with exciting and creative balloon sculptures. Check out our balloon services. 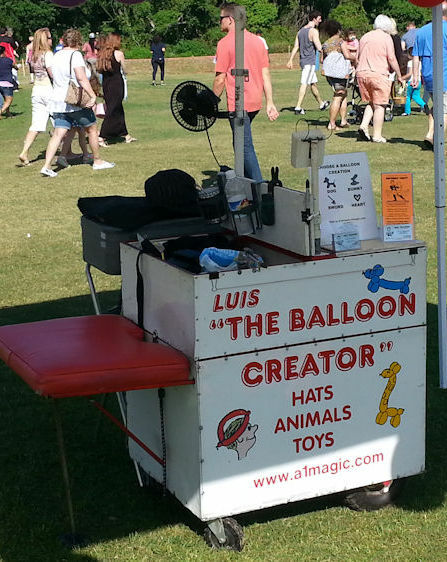 A Balloon Set-Up is where a "Twister" makes balloon hats, animals, toys and other balloon creations and hands them out to the excited onlookers. This is typically done for large audiences, such as fairs, festivals, carnivals, promotions, grand openings, company picnics, street parties, etc. A custom made - one of a kind - originally designed balloon cart is used that can keep up with the rigorous demands of huge groups. With it, inflating and fashioning large quantities of balloon hats, animals and toys, even creating the multi balloon, high-end sculptures are a breeze. Always a welcome addition to any event. We can even put two twisters on this system if the numbers you expect are in the thousands. If mobility is necessary, you may select to have a strolling balloonist mingle among the crowd handing out a variety of balloon sculptures. It is popular at Hospitality Suites, Restaurants, Receptions, Cocktail Parties, and any place you want to create an exciting and festive atmosphere. Selections may be limited simply because the entertainer carries everything with him. At functions that are bigger than a Birthday Party but smaller than a festival. This option is perfect. 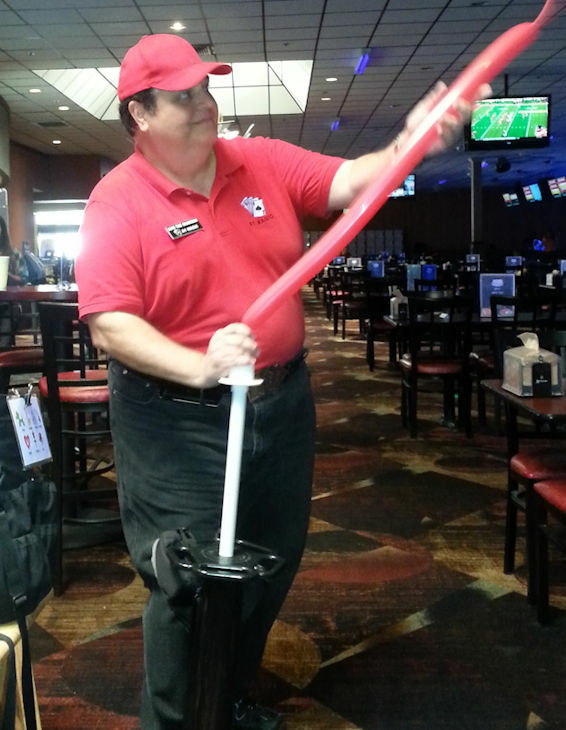 We can still provide balloon hats, animals, toys and other balloon creations and hands them out to the excited onlookers, but this system does not take up allot of room. Some of the more elaborate creations can be made at this system. Balloons are fun! Being able to create things with balloons is exciting! Giving the balloons away to smiling children is rewarding! “I believe God blessed me with a gift. A gift that should be shared with everyone. 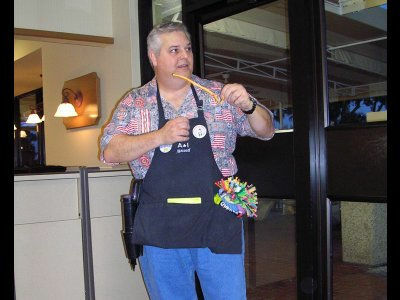 Not only making a balloon creation and giving it to someone, but also teaching others how to create their own balloon sculptures. 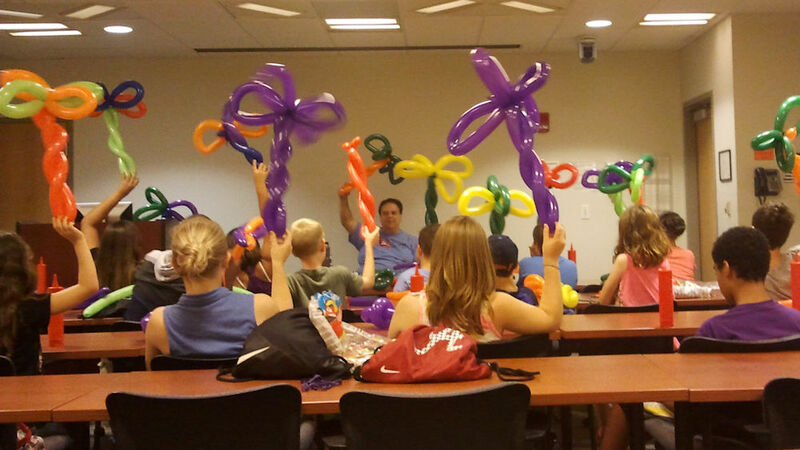 That way, the joy can be spread faster and further.” We do balloon workshops at libraries, museums, schools and clubs to groups ranging in ages from children to adults. It is a popular activity for church youth groups and scouts. You can choose a two-hour basic crash course, or a full day extended course. We can provide custom schedules depending on your organization’s needs. Keep in mind that this is a hands on activity. Workshop sizes are limited so sign up well in advance. 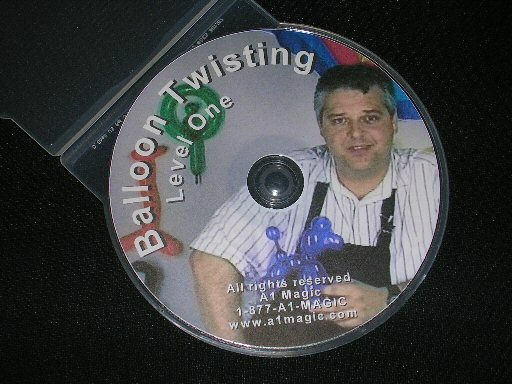 Learn to make your own balloons creations with our Balloon Twisting DVD. This DVD provides progressive learning instructions starting with the basics. 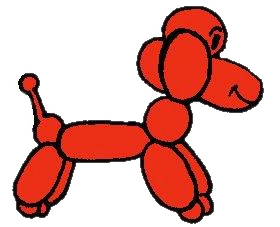 Learn to make 27 different one balloon figures and animals like a basic sword, and working up to a Teddy bear and French poodle. Luis' lighting fast knot is also explained in detail. If you have never made a balloon animal before, or would like to learn how to make more, this is the DVD for you. A spectacular balloon show creating high end sculptures on a large scale to a musical background. Wonderful for all ages and organizations. Luis started doing this show in 1991. He wanted to commemorate the vaudeville era in the way balloons were twisted back then but wanted to demonstrate the advances in the art. The show was originally intended for a children's audience, but as time went on, senior groups wanted to see this show as well, and it was a huge hit. 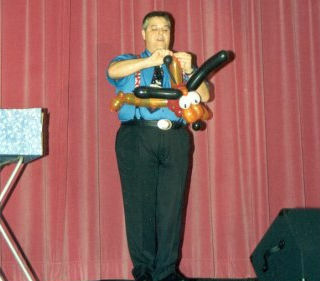 He has performed the Balloon Jungle Jam show for various groups on a regular basis. It is a 35-minute show set to music that also involves audience participation. At the end of the show, the audience receives the creations as door prizes. This spectacular show goes over with a bang!